Blockchain Smart Contracts are the new Serverless! Over the recent past I've been experimenting with Smart Contracts for block chain implementations. Smart Contracts are essentially programs running on the block chain infrastructure. For example Ethereum supports Smart Contracts written in Solidity. EOS is another example of a blockchain that will support smart contracts. I've been looking at EOS an its smart contracts in more detail, here the smart contracts can be written in C/C++ so you don't have to learn a new language for it. So what can you do with a smart contract? Smart contracts are designed to provide some sort of computation and store the result (immutably) on the blockchain. The computation is a custom program that applies to your domain, so for example you could be renting out holiday accommodation and your website might store the holiday home rental contract including the price, optional extras, insurance etc for a given period of time, after having computed it, on the blockchain. In most cases smart contracts can also handle the payment, so let's say the rental home costs 500 Euro per week, then the equivalent in Ether (ETH) or whatever the current blockchain/crypto is, can be transferred to the owner as part of the smart contract execution. 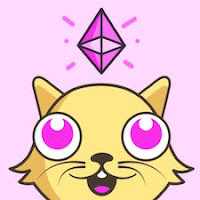 Or, more creatively as has been done on the ethereum network, your contract could compute a unique CryptoKitty for you that is a cute looking creature created just for you to look at and store the result on the blockchain. You can even take this a little bit further. As shown with the CryptoKitty the smart contract does not need to have anything to do with transferring money from a to b or writing some sort of financial contract. In theory you could use the smart contract to do anything you might be able to use asynchronous computing power for. First of all it's quite easy to run a test EOS node on your own machine which allows you as a developer to play with it and understand it in a sandbox type environment. EOS aims to provide much higher transaction rates than the current major block chains can provide. It promises up to 50000 transactions per second which all of a sudden is big enough to handle amounts of payments similar to major credit card companies like Visa and Mastercard. Smart contracts on EOS can be written in C/C++ which is really nice, as you don't need to learn a new programming language for it. So let's take a look at how I got my example EOS contract deployed to my own test EOS node. At this point your EOS node should be happily up and running. Which is really neat. You've got a EOS block chain node running for development purposes on your local machine! Before you can use your EOS node you need to create a wallet and an account. Since our smart contract will be computing the Fibonacci sequence, I'm going to call the account fibonacci. The following commands do that for you. They use a demo account inita that is created in the config.ini file when its set up as above. I created a little testproject called fibonacci which computes the fibonacci sequence to a certain iteration in the EOS smart contract and stores the result in the EOS database. An interesting part of the EOS smart contract development lifecycle is that these contract don't get compiled in regular machine language, what C++ compilers normally do, but it gets compiles into a WebAssembly .wast file. This file is some sort of assembler language but then platform independent and this is what EOS uses at runtime. Once deployed, you can execute your contract by sending a message to it. The contract executes and can write its output to a database location for later retrieval by a client. So the result is 21. We've executed our smart contract and obtained the result on the EOS blockchain! I'm pretty excited by the possibilities of smart contracts with regard to the possibilities that these, once matured, can provide. It becomes similar to what today is labeled 'serverless' computing. Things that are at the moment possible through large providers such as Amazon Lambda and Microsoft Azure Functions will also be provided via block chain networks. One difference is that the computation is not done by a single cloud entity, but rather by a collection of nodes that are run by individuals who have mining machines for that crypto. In my eyes it's still early days and certain things in the contracts can certainly be improved, e.g. the available APIs usable from within the smart contracts are still fairly limited, but that will probably improve over time. The fun thing is: it's pretty easy to get started experimenting and writing smart contracts, even from a simple Linux box, so you can learn and develop your smart contracts while the blockchain teams are working on maturing the infrastructure. In my previous post I looked at how easy it is to apply the 'branch by abstraction' pattern to OSGi services, where the Service API is the abstraction layer and you can branch at runtime without even taking down the service client. Another part of the story here is that it can be useful to add aspects to an implementation. This can also be done using the branch by abstraction pattern and in OSGi you can add these aspects to existing services without the need to modify them, and also without the need for bytecode manipulation. In OSGi you can proxy services by hiding the original and placing a proxy service in the service registry that consumers will use instead. This makes it possible to add a chain of aspects to the service invocations without the need to either change the clients nor the services themselves. Aspects are called before and after a service invocation is done via preServiceInvoke()/postServiceInvoke(). They are called with a reference to the service being invoked and with the parameters that are provided to the service. The post call is also provided with the result of the invocation. The aspect API allows you to do things like obtaining metrics for services, add logging to existing service calls or anything else really that an aspect could do. Additionally it contains annouce() and report() to present information to the user. The service-spector is configured using Configuration Admin with a list of filters for services that need have the aspects applied in the service.filters property. There is an additional configuration item that states whether the original services need to be hidden. The proxies are automatically registered with a higher service ranking than the original service. If the consumer of the original only uses a single service the original does not need to be hidden as the one with the higher ranking will be selected. However, if a consumer uses all the services of a certain type you do want to hide the originals. In general it's safer to hide the original service, but if you want to run without the HidingHooks you can switch this off. I am using the Felix File Install to provide the configuration and have it stored in a file in load/org.coderthoughts.service.spector.impl.ServiceSpector.config A little known feature of File Install is that is supports typed configuration data in .config files, so the following file contains a Boolean hide.services property and a String service.filters property. The Config annotation is automatically populated with the configuration information by matching the property keys with the annotation methods, which I can easily read out using its typed API (the dots in configuration keys are mangled to underscores). The CountingServiceAspect is included in the Service Spector bundle. Lets add this and the File Install and Configuration Admin bundles to the framework setup used in the previous post that computes primes. I now have the following bundles installed. I removed bundle 9, the incorrect prime number generator that returns only 1's for now. The version of primes on master has a PrimeServiceReporter that reports the name and the classname of the service. Here we can see that the service calls itself "PrimeNumbers" but that the actual service instance is a Proxy. Aspects are contributed as services themselves so they don't need to be part of the service-spector bundle itself. The service-spector-method-timer bundle is a separate bundle that contributes a ServiceAspect that provides average method invocations times. Inspired by my friend Philipp Suter who pointed me at this wired article http://www.wired.com/2016/02/rebuilding-modern-software-is-like-rebuilding-the-bay-bridge which relates to Martin Fowler's Branch by Abstraction I was thinking: how would this work in an OSGi context? Ok so our system works. It keeps printing out prime numbers, but as you can see there is a bug in the output. We also want to replace it in the future with another implementation. This is what the Branch by Abstraction Pattern is about. 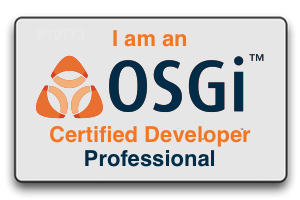 In this post I will look at how to do this with OSGi Services. OSGi Services are just POJOs registered in the OSGi Service Registry. OSGi Services are dynamic, they can come and go, and OSGi Service Consumers dynamically react to these changes, as well see. 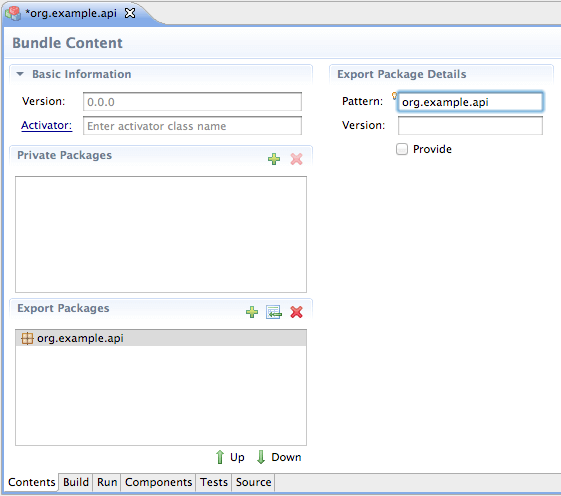 In the following few steps will change the implementation to an OSGi Service. Then we'll update the service at runtime to fix the bug above, without even stopping the service consumer. Finally we can replace the service implementation with a completely different implementation, also without even stopping the client. We'll start by turning the program into an OSGi program that contains 2 bundles: the client bundle and the impl bundle. We'll use the Apache Felix OSGi Framework and also use OSGi Declarative Services which provides a nice dependency injection model to work with OSGi Services. As its now an OSGi application, we run it in an OSGi Framework. I'm using the Apache Felix Framework version 5.4.0, but any other OSGi R6 compliant framework will do. ... and so on ..
Now we'll do what Martin Fowler calls creating the abstraction layer. The abstraction layer for the Branch by Abstraction pattern is provided by an interface that we'll use as a service interface. 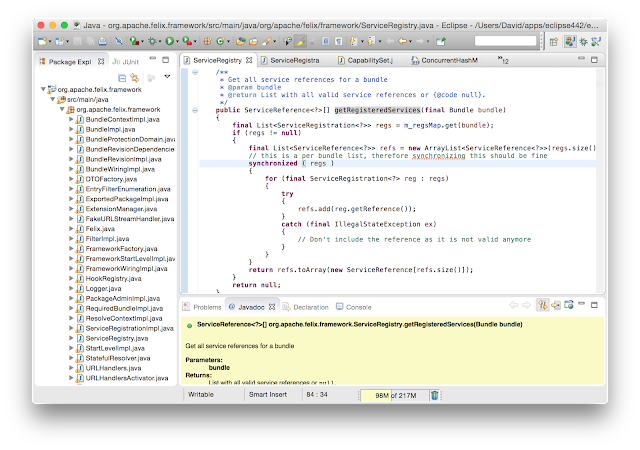 This interface is in a new maven module that creates the service OSGi bundle. Great - finally our service is fixed! And notice that the client did not need to be restarted! The DS injection, via the @Reference annotation, handles all of the dynamics for us! The client code simply uses the service as a POJO. Being able to fix a service without even restarting its users is already immensely useful, but we can go even further. I can write an entirely new and different service implementation and migrate the client to use that without restarting the client, using the same mechanism. This code is on the branch stage5 and contains a new bundle impl2 that provides an implementation of the PrimeNumberService that always returns 1. Or alternatively you could do a façade service implementation that round-robins across a number of back-end services or selects a backing service based on the features that the client should be getting. In the end the solution will always end up being an alternative Service in the service registry that the client can dynamically switch to. I hope I have shown that OSGi services provide an excellent mechanism to implement the Branch by Abstraction pattern and even provide the possibility to do the switching between suppliers without stopping the client! In the next post I'll show how we can add aspects to our services, still without modifying or even restarting the client. These can be useful for debugging, tracking or measuring how a service is used. With thanks to Carsten Ziegeler for reviewing and providing additional ideas. Advanced: Reference Frames: 6, CABAC Entropy Encoding: yes, 8x8 transform: yes, Weighted P-Frames: yes, Subpixel ME & Mode: 2 SATD qpel, Trellis: off, No DCT Decimation: off. The video player that plays everything. 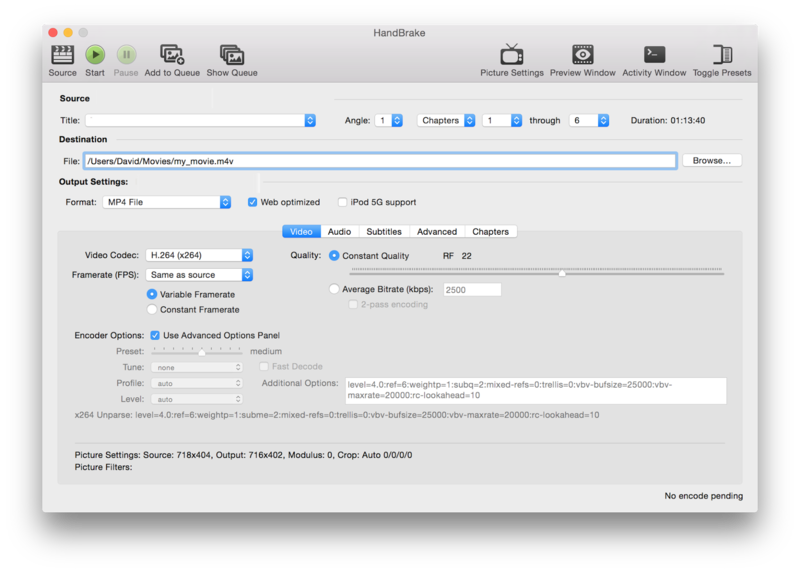 If you install the right drivers it can even play Blu Ray discs, something the native DVD player on OSX cannot do. Download from http://www.videolan.org/vlc. 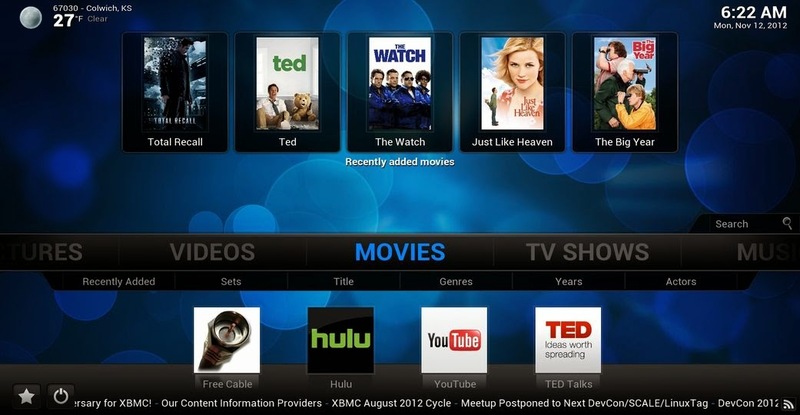 Previously called XBMC. 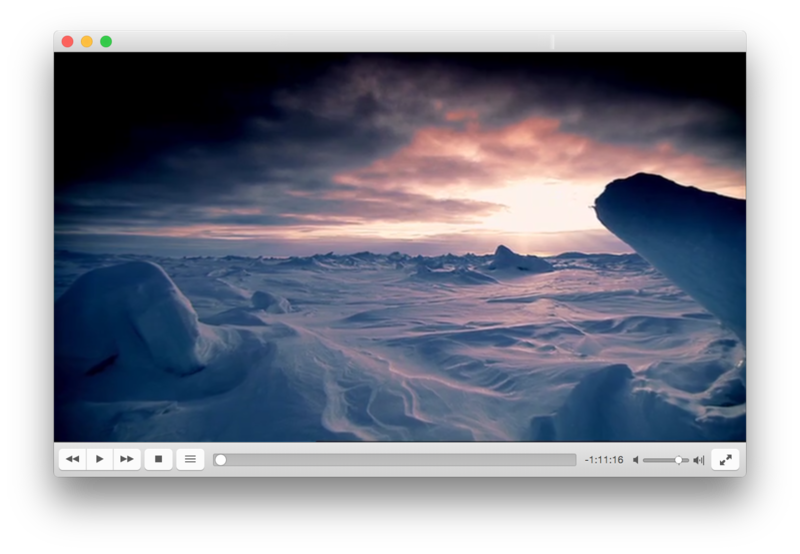 Another media player. This one is really good for streaming over the network and has tons of plugins. You can also create a catalog that runs on a central server and stream that to all the devices in your house, for example. 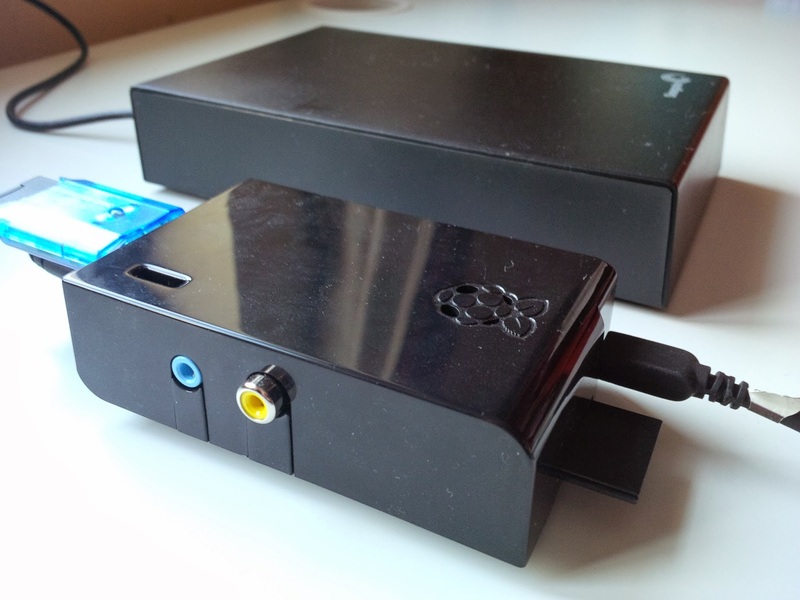 I wrote some details on how I use my Raspberry PI as such a media server here: http://coderthoughts.blogspot.com/2014/01/how-i-learned-to-stop-worrying-about.html. Download from http://kodi.tv. This tool has a lot of features for the touchpad, but the main reason why I use it is not on the touchpad. I don't like the click feature of the touchpad, the fact that you have to press the touchpad itself. I prefer pressing a button to act as a mouseclick. On my UK keyboard there is a key that I never use, just above the TAB key there is a key with the § sign. 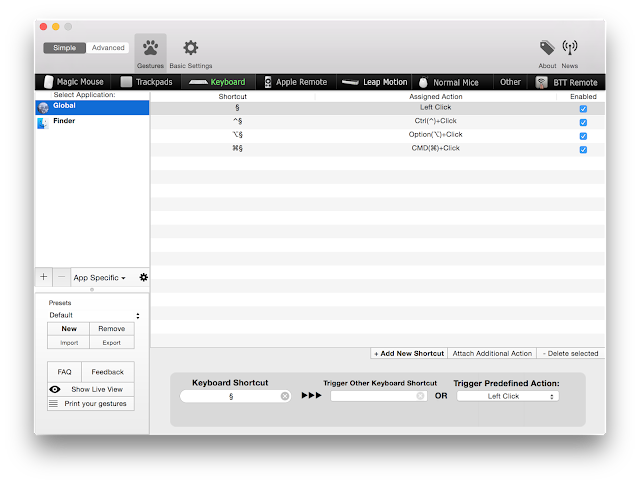 The above screenshot shows how I used the BetterTouchTool to remap that key to be the mouseclick. I still use the trackpad to position my mouse, but no need to press it down, I do that with my other hand by pressing that mapped key. Download from here: http://blog.boastr.net. This is a very handy little tool, that simply extends the clipboard with a history of up to 25 entries. Instead of cmd-V, use shift-cmd-V to cycle through all your past clipboard contents. Extremely useful. This one is free on the apple appstore: https://itunes.apple.com/ie/app/flycut-clipboard-manager/id442160987?mt=12. 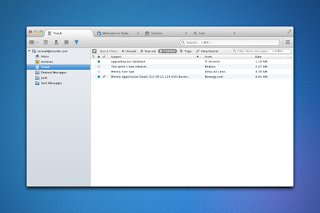 This is a free WinZip-like tool for the Mac. It doesn't have as many features as WinZip, but I tend to find it very good for quickly peeking in a .zip or .jar file. And the program icon is just really cute! Download from: http://www.zipeg.com. 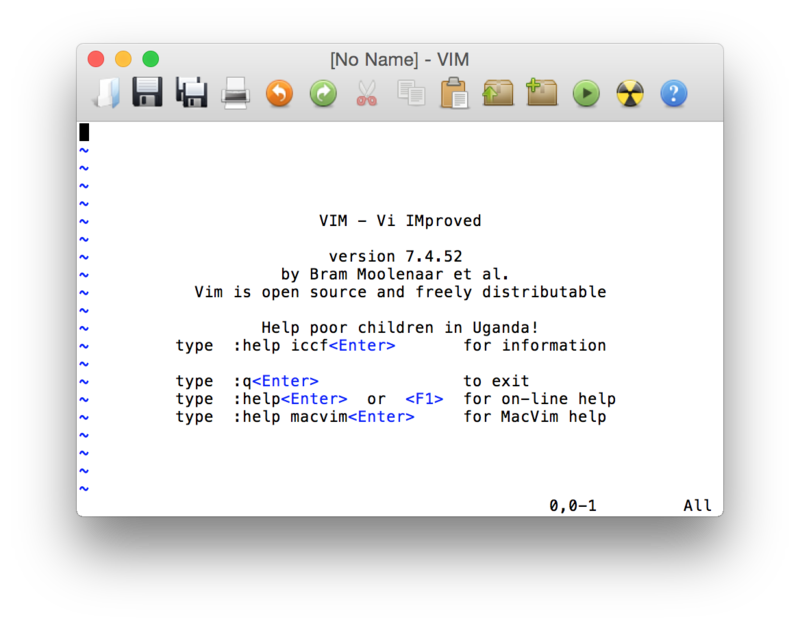 I'm a VIM guy and this Mac version is really good! Download from https://code.google.com/p/macvim. I'm relatively new to password management software but the recent vulnerabilities and attacks made me move to it. I'm a bit weary of storing my passwords in a cloud-based solution. I'd rather have a local file that's properly encrypted, so that it doesn't matter who actually sees that raw file. 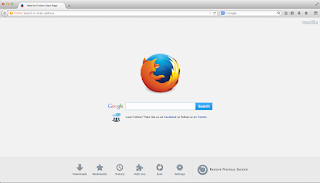 I also want something that automatically works with web browsers so that passwords are automatically entered. 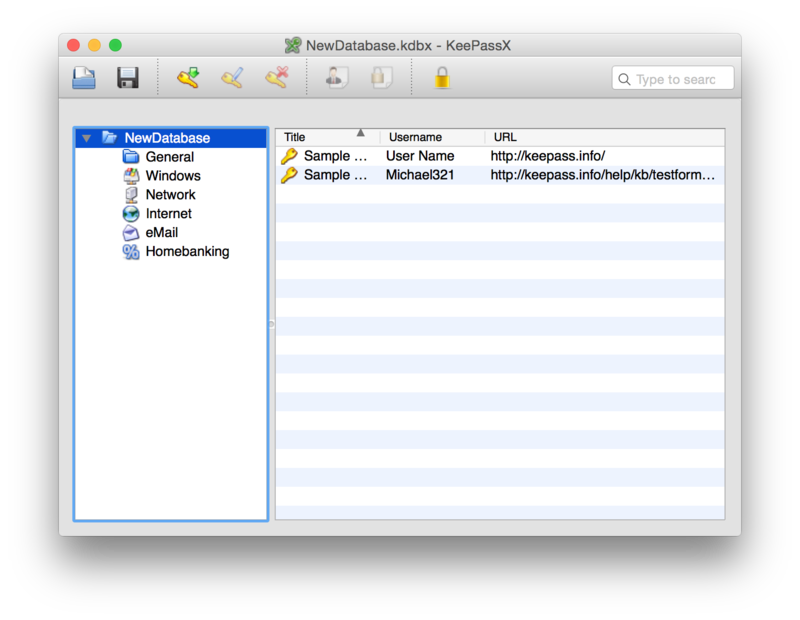 KeePass is a great Windows-based app that does all that. There's an Android version (KeePassDroid) that even works on my BlackBerry Z10. And there are Chrome (chromeIPass) and Firefox (PassIFox) integrations with the KeePass HTTP server that seamlessly enter your passwords in the appropriate websites if you approve this action. 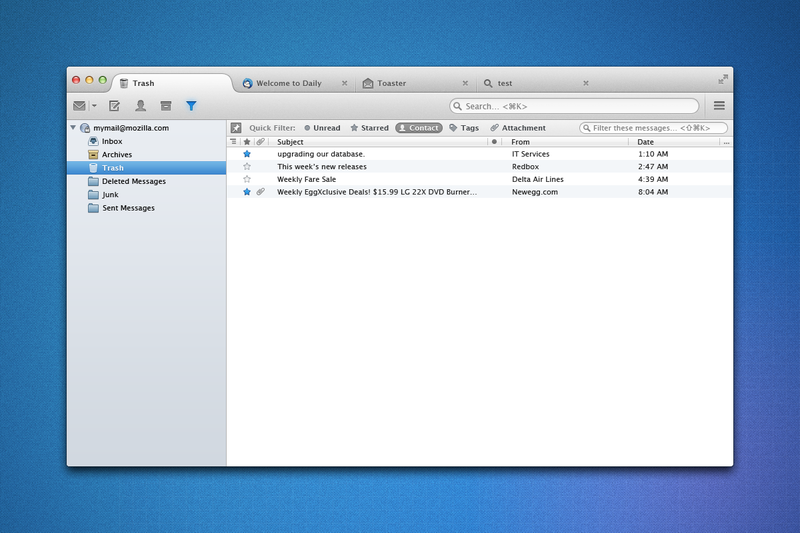 There are a number of opensource projects to get this working on the Mac too. However, they seem to be in various stages of incompleteness. There is the KeePassX project, but it doesn't have support for the HTTP server (yet) that you need to integrate with the browser. There is a new project called MacPass which is another KeePass clone, but it also doesn't support the HTTP server (yet). Some people use Mono to run the Windows KeePass on OSX, but I found that not very satisfying and at some point it just started crashing continuously. In the end I found Keith Bennett's fork of KeePassX 2.0Alpha5 that has HTTP server support. The UI is a bit buggy, but it's the best I could find in the opensource arena for password management on OSX, so this is what I'm using right now. Looking forward to having a more stable version of KeePass on the Mac with HTTP server support. I love PDFs :) (hey I work for Adobe). 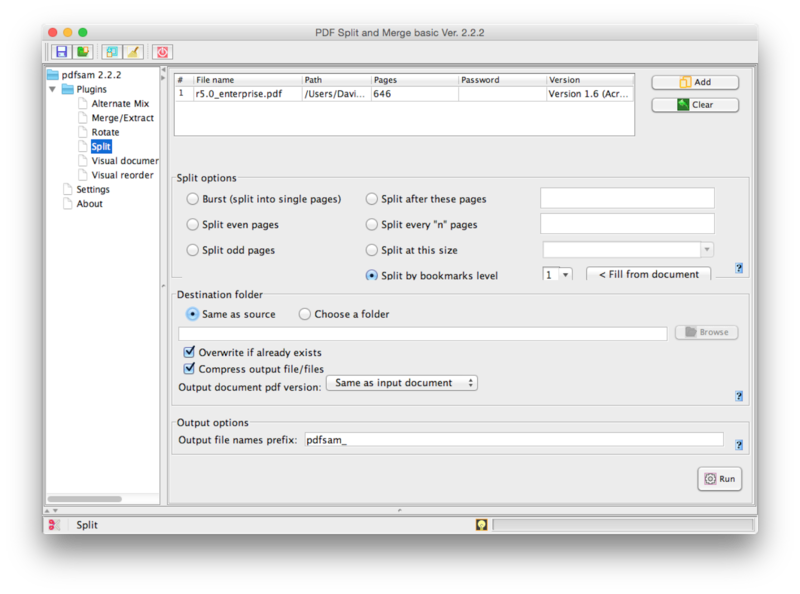 And there are tons of tools available for creating PDFs both from Adobe and from other vendors. PDFSam is a really nice little tool that helps you work with PDFs once they are created. Rearrange pages, split chapters off, merge multiple PDFs together, that kind of thing. I find myself using this tool pretty often. You can get it from here: http://www.pdfsam.org. and I normally have it locked to my dock, so I can just click it to lock my screen. There are also a few larger applications where I think there are some great opensource products available that I use on a daily basis. Personally I prefer this office suite to the commercial ones available. 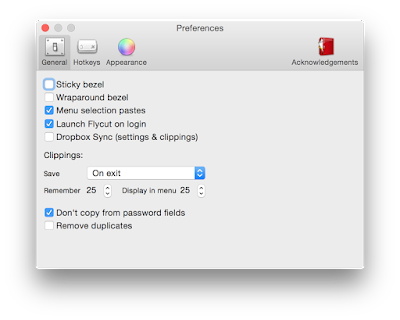 Great features, great usability and it works on all the platforms that I use outside of OSX, including Linux. Download from https://www.openoffice.org. These two need no further introduction. 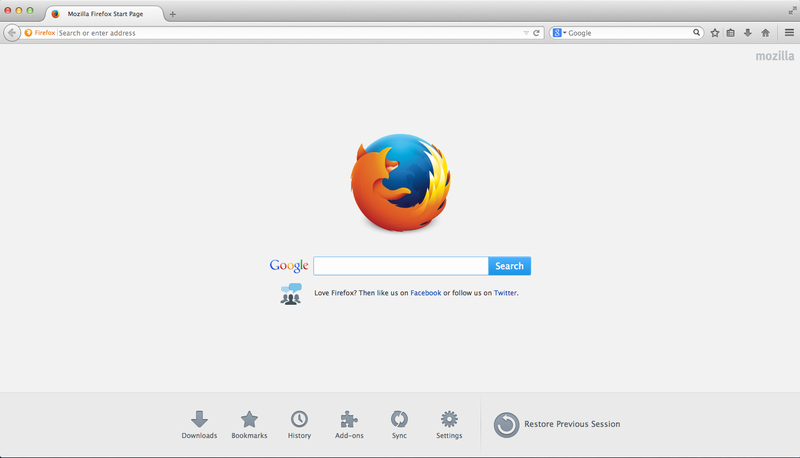 Just an excellent webbrowser and a great email client. Get them at https://www.mozilla.org. Still the best IDE around for Java and other programming languages. Available from http://www.eclipse.org. 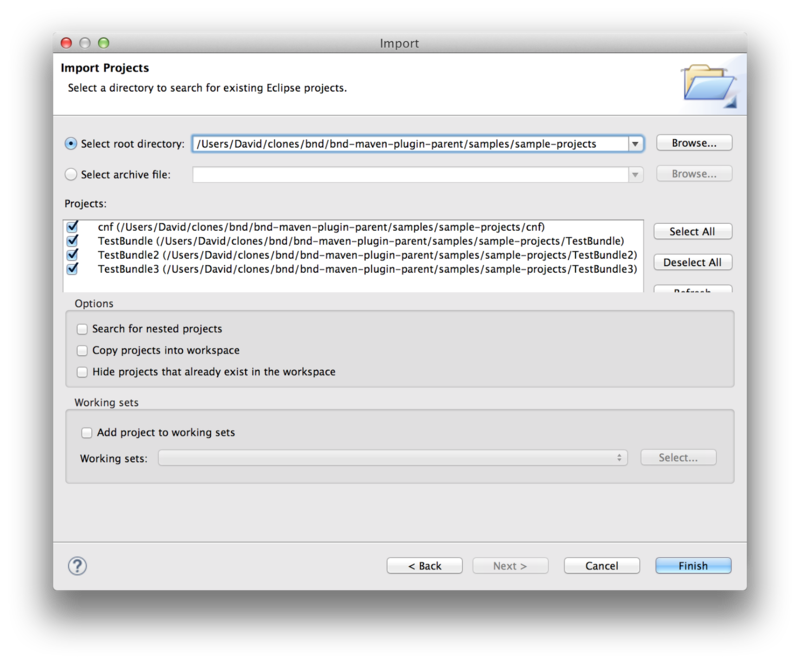 Running bndtools OSGi builds with Maven - bnd-maven-plugin now released! The bndtools.org project provides some really great tooling for building OSGi bundles. This includes help for generating the bundle manifest, templates for working with Declarative Services, testing support and more. There's tooling for resolving deployments against repositories, and last but certainly not least - automatic semantic versioning. The tooling for semantic versioning will tell you whether the version of your exported packages is correct, by comparing the content of your APIs with the previous release of the bundle. I won't go into the full feature set of bndtools here, have a look at the bndtools website for all the goodness. Another thing to say about bndtools is that it has a really active community, which is always a good thing to know when you're deciding on using an opensource project. 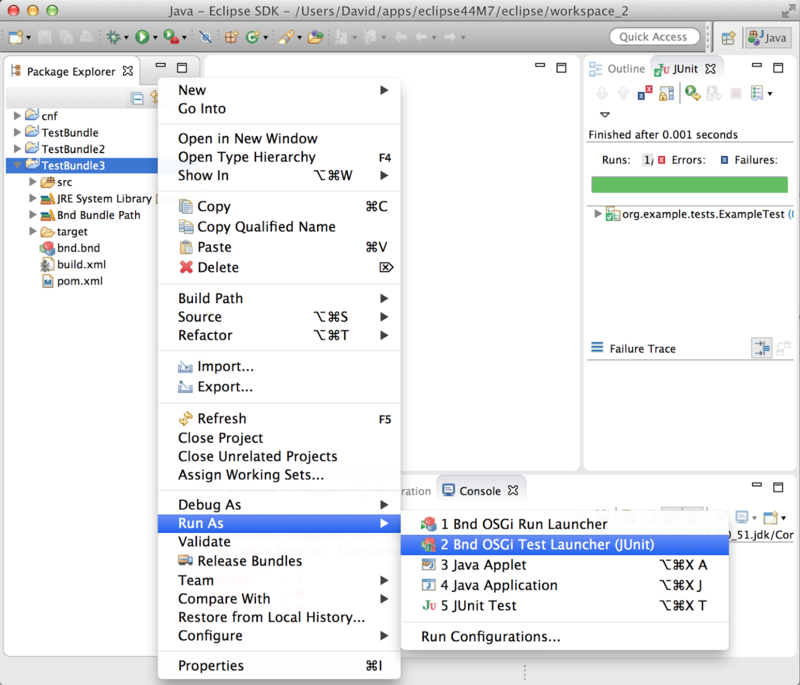 The bndtools project itself focuses on providing an Eclipse-based graphical IDE for developing OSGi bundles. However you normally also want to be able to build your bundles in a headless build. For example as part of a Jenkins/Hudson process or simply to build it from the command-line yourself. The bndtools project provides headless build options using Ant and Gradle, but for many people being able to use Maven for builds is essential. Most OSGi development in Maven is done these days using the maven-bundle-plugin or using Eclipse Tycho. Tycho focuses on building OSGi bundles using a manifest-first approach which is supported by the Eclipse PDE tooling. The maven-bundle-plugin uses the pom.xml file as the source of information for the bundle and while it uses bnd under the covers, just like the bndtools project, maven-bundle-plugin is a little different in that it uses the pom.xml as the source of information for the build. 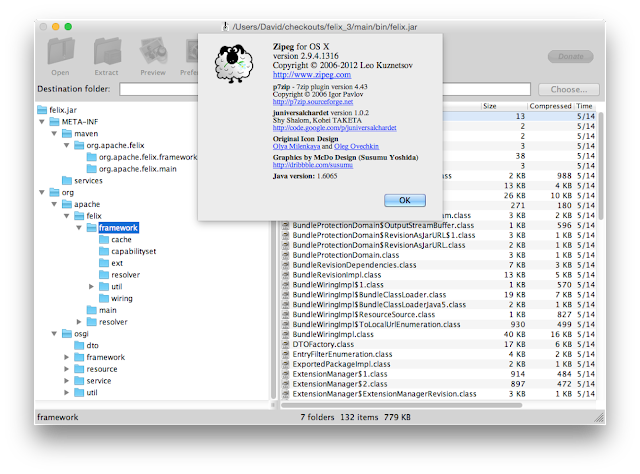 The bndtools IDE uses bnd.bnd files for this. This is where the bnd-maven-plugin comes in. Toni Menzel started it a while ago, Peter Kriens worked on it, and I have been putting bits and pieces in recently. The bnd-maven-plugin basically builds a bndtools project exactly like the bndtools IDE would build it, but then from Maven. As of today the first version of the bnd-maven-plugin (called 1.0.2 - mea culpa ;) has been released to Maven Central, so you can easily use it in your Maven builds. TestBundle - this is a simple default-layout bndtools project that can be built with Maven. TestBundle2 - a bndtools project that follows Maven conventions for directory locations of source and output files. It can be built using Maven and the bndtools IDE. This project also contains an example unit test. TestBundle3 - this project contains an OSGi Framework integration test, which can be run both from Maven and Bndtools. ParentPom - a module that contains a parent pom used by all the other submodules. MBPBundle - a module that builds a bundle using the maven-bundle-plugin, showing that it can be used alongside the bnd-maven-plugin, although within a single module you need to choose one or the other. The above has built all modules, ran the unit tests in TestBundle2 and the integration tests in TestBundle3. Use them with the bndtools IDE! As many other hobbyists I got myself a Raspberry PI a few months ago. It's very cool that such a functional piece of hardware can be so cheap. I'm using mine as a backup server for my photos, documents, videos etc, it is my Samba Server, FTP server and, most importantly an XBMC network server. I'll outline some of the things that I did to make mine working the way I wanted to, but first I'd like to address the biggest issue that I experienced with my Raspberry PI: the fact that it doesn't deal well with power cuts. The PI itself isn't really to blame for that, its a general issue with Linux and other unix-type operating systems: sudden power losses can make their boot/os disk unreadable. With Linux running on a laptop you don't really have that issue, as your laptop has a built-in UPS, but my PI doesn't have that. Which means that I often happened to find my device in a state that it wouldn't boot up again. Apparently we had a power blip. While some companies are starting to sell UPS solutions for the PI, one of the main issues with that is that the UPS often costs more than the PI itself. If you don't want to spend that extra money, I have used a different setup that gave me the capability to survive PI boot disk corruptions without too much work or cost. Some people suggested that the best way to prevent your PI from corrupted boot disks is to make the disk readonly. While certainly a good idea, this doesn't really work for me as I often experiment with my PI and change its installed packages regularly. So I didn't want to restrict myself that much. What I did instead was use Billw's cloning script to make a backup copy of the main SD card on a second one. I used an old SD card that I still had lying around and got a USB SD card adapter, which sells on ebay for about £1 including shipping. Using that script I make regular backups of my main SD card onto its clone. When experiencing one of those regular power blips and the PI doesn't want to start up, I simply swap the SD cards - the one from the USB goes into the main SD card port and vice-versa! That will allow me to start up the PI again with all my configuration as I had it. Then simply run Billw's script again to clone the SD card that's still working back on the corrupted one at which point I'll have two working SD cards again! In addition to the backup script there are a few other things that I tweaked for my PI. 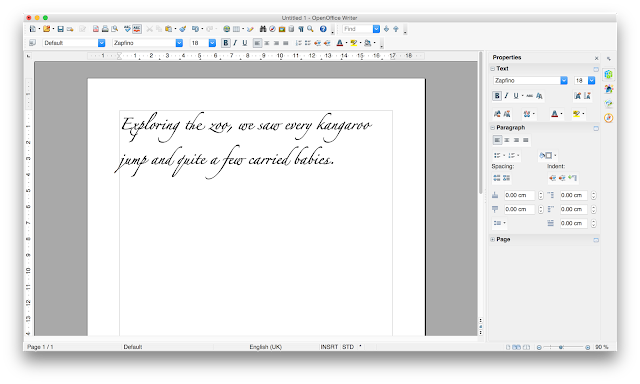 They might be a little different than what you're used to on Linux, so I'm outlining them here. If you're planning to use your PI as a file server, like I do, get a USB harddrive that has a power-save feature. This means that you can have your system running 24/7 but that there won't be any spinning parts if nobody's using it, and very low power consumption too in that case. I got this Seagate 2TB one for about £60 which works great! The only thing you need to do is enable the power save feature once, which you have to do on a Windows PC using the program that comes on the drive. Once power-save enabled, you can connect it to the PI and it works perfectly. Note that you do need to sudo apt-get install ntfs-3g to use most pre-formatted USB drives. The name tag in the configuration is used to connect to separate MySQL databases running in the same database server. 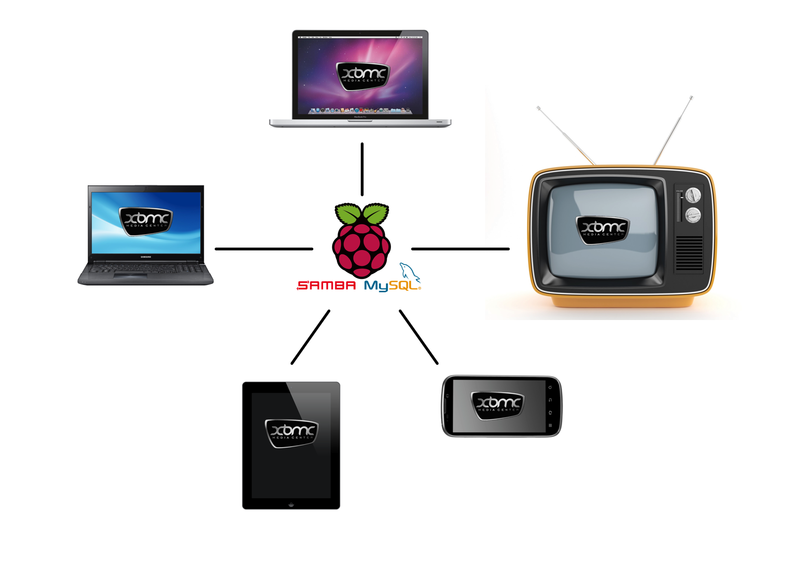 That allows you to serve different media depending on the XBMC profile you're in. In the Holidays profile it lists my holiday videos, in the Education profile it has my educational ones. 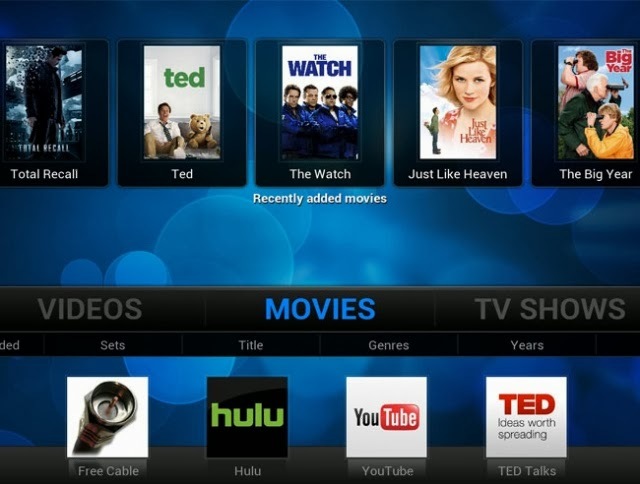 And voilà, you will get all your movies on all your XBMC devices.